Highest quarterly profit since 1Q16 on broad-based growth across all segments. Increased volumes seen in Securities and Derivatives businesses. Base dividend of 5Scts declared (unchanged y-o-y). Maintain BUY, Target Price of S$8.40. Maintain BUY; TP of S$8.40. We maintain our positive view on Singapore Exchange (SGX) given improved sentiment on the market, and higher volumes for both equities and derivatives businesses. We expect SGX’s earnings to grow by 5%-10% going forward, after a relatively weak FY 2017. SGX’s continued efforts to drive market liquidity should bear fruit in the coming years. In terms of valuation, SGX is currently trading at 22x FY18F PE, which is close to -1SD of its mean and also close to the low in recent years. SGX is also trading at a cheaper PE valuation to Bursa Malaysia’s 24x and 35x for Hong Kong Exchange. Where we differ: We are more positive on the Singapore market as a cyclical upturn may be imminent. We believe that the worst could be over for the Singapore economy. Some signals that the economy has bottomed have emerged, such as the uptick in loan growth which rebounded back into positive territory after a year of contraction, and Singapore’s manufacturing Purchasing Managers’ Index (PMI) is also in expansion mode, in line with the global indices. Potential structural changes to boost liquidity in the Securities market, diversifying business mix to reduce reliance on Derivatives, earnings accretive M&A. Maintain BUY, TP of S$8.40. We revised our TP upwards from S$8.20 to S$8.40 on higher earnings (+3%) as we raised derivatives volume assumption. Our TP is based on the dividend discount model, implying 24x FY18F PE. Dividend yield at current share price is c.4%. Market activity. Slower-than-expected market activity could derail revenue traction. Derivatives, a growing revenue generator, could be at risk if products do not generate sufficient trading volumes. 1Q18 net profit of S$90.7m driven by broad-based growth. Singapore Exchange (SGX) reported net profit of S$90.7m (+9% y-o-y, +6% q-o-q), in line with expectations, on broad-based growth across all 3 segments, Equities and Fixed Income, Derivatives and Market Data, and Connectivity. Operating profit and net profit were at its highest since 1Q16, on revenue of S$204.5m (+7% y-oy, -2% q-o-q), on better margins as management continues to instill cost discipline. For the quarter, an interim base dividend of 5Scts per share was declared (1Q17: unchanged) . Solid volumes, growing market share for Derivatives contracts. Derivatives revenue grew to S$80.6m (+14% y-o-y, -2% q-o-q) mainly on the back of higher volumes as total volumes increased to 46.2m contracts (+15% y-o-y, +5% qo-q). Increase in volumes was mainly due to higher volumes in SGX Nifty 50, FTSE China A50, Nikkei 225, Iron Ore futures, as well as FX futures. Market share increased for almost all key Index futures, Iron Ore, as well as USD/CNH and INR/USD futures amongst increased market volumes. Average fee per contract was 4% lower y-o-y at S$1.13 due to change in mix of contracts – average fee for FTSE China A50 Index futures and Iron Ore futures came down. Securities revenue grew as daily average traded value (SDAV) increased 18% y-o-y. SDAV was S$1.16bn for 1Q18 (+18% y-o-y, flat q-o-q), led by increased volumes in both Equities and Other products. Turnover velocity was 37% (1Q17: 36%, 4Q17: 38%). Average clearing fee was lower at 2.70bps compared to 2.89bps a year ago. Growth in Market Data and Connectivity revenue (1Q18: S$24.2m; +10% y-o-y, +1% q-o-q), attributed to continued growth in co-location business, was partially offset by lower contract processing revenue as brokers progressively migrated to their own back office. Revenue for issuer services was S$22.1m for the quarter (flat yo-y and q-o-q). Operating expenses came in at S$98.5m (+5% y-o-y), on higher depreciation due to new technology systems, offset by negotiated lower vendor charges, well within expectations, as cost discipline efforts continue. Excluding higher variable staff costs and consolidation of Baltic Exchange, expenses would have been up 2% y-o-y. SGX and Nasdaq collaborative agreement. SGX and Nasdaq signed a collaborative agreement earlier this month and are exploring the demand among corporates for a concurrent or sequential listing on both exchanges, while reviewing the feasibility of bringing Nasdaq’s International Designation program to existing SGX-listed companies which can help enhance their corporate profile. SGX and Nasdaq are also looking at cross-promoting their marketing activities in North America and Asia. 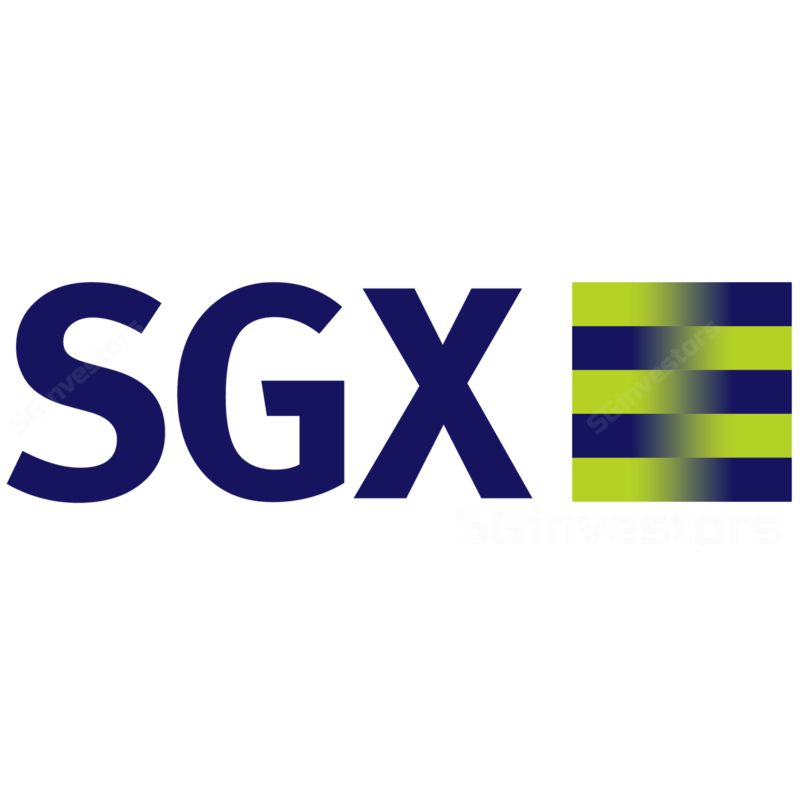 For a start, SGX has begun exploring streamlining listing processes of both exchanges. We view these as part of ongoing efforts by SGX to enhance its attractiveness and spur listings on the Exchange while providing value-add to companies listed on the Exchange. SGX’s newly-opened office in Chicago also aims to better serve the US client base by being in the same timezone by developing connectivity with US’ equities and fixed income markets. SGX is able to provide offshore access to its products in extended trading hours through the launch of SGX Titan, a high-performance derivatives trading platform, in Nov 2016. Marginal revision to earnings, derivatives led. We revised our earnings slightly (+3%) on higher assumptions for derivatives volumes, as we see good developments in its derivatives business. Notably, SGX saw a significant increase in FX futures (albeit still small compared to Index futures and Commodities futures) and record trading volumes in USD/CNH and INR/USD, while INR/USD saw tighter spreads than OTC. Launch of new product offerings, such as REITs Index futures, should also add to volumes going forward. We believe that growth in SGX’s derivatives business would continue as SGX launches new products to complement its existing offerings. Our TP is based on the dividend discount model, implying 24x FY18F P/E. Dividend yield at current SGX share price is c.4%.